During a medical emergency at home, Bengaluru-based software engineer Aditya Chaubey found himself facing another worry: the need for urgent cash. Given a bad credit history, Chaubey, 26, didn?t qualify for a bank loan. But then he learned about an app called CASHe, which required him to login through his Facebook account and upload his bank details. Within an hour, the money that could help save his relative?s life was transferred to his account. ?CASHe doesn?t judge you by your credit history. Based on your social profile, you get an instant loan, which can be a life-saver. Although the interest rates are high, the ease of processing, and the access to small loan amounts are helpful. I?ve tapped them more than 10 times for small loans,? Chaubey said. In other words, your friends? list on Facebook and what you post on social media could soon determine your credit-worthiness. 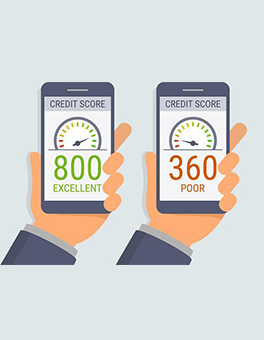 CASHe, a start-up run by private equity player V Raman Kumar, will soon give you instant credit ratings based on your social media interactions and your mobile usage;the interest rate you?ll be charged hinges on your score. ?Just because someone never took a loan before and never had a credit card, it doesn?t mean they can?t be credit-worthy,? reasons CASHe Chairman Raman Kumar, who sold his healthcare BPO CBay Systems to JP Morgan?s One Equity Partners for $1.1 billion. 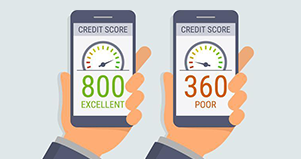 ?We use a few parameters such as number of Facebook friends, public interactions on social media, the apps you?ve downloaded on your phone and the mobile phone model that you use to create a unique ?social loan quotient?, which tells us how likely are you to repay the loan.? The ?social loan quotient? will be available from January. Launched seven months ago, CASHe currently provides short-term personal loans for between 15 and 90 days to young professionals who do not have a credit rating to back them up. Currently, it charges rates between 30 per cent and 36 per cent annualised on the disbursed loans. But with a better ?social loan quotient?, the rate can be as low as 15 per cent, and the loan eligibility can double. CASHe has 10,000 repeat customers and disburses loans worth ?20 lakh a day. Despite the high interest rates, the delinquency rate for CASHe is less than 2 percent; Kumar expects it to drop below 1 percent once the social media quotient goes live on the platform. On submission of RBI-mandated documents ? PAN, Aadhaar card, salary slip and bank statement ? loan approvals will be given. The money is then disbursed through One Capital, an RBI-registered non-banking finance company, also owned by Kumar. Kumar is also looking to buy a wallet company; loans can then be disbursed through the wallet, which will reduce chances of fraud and give the company opportunity to sell more products such as insurance and credit card. ?We will soon acquire a wallet company and partner with a credit card company for a co-branded card. This will allow our customers, who otherwise could not qualify to get a credit card, to finally have one. The wallet however, will be limited to only our customers and we?ll be rolling out multiple offerings with that,? Kumar said.